Take a moment with your children and youth to reflect on the story of Christmas and the meaning of the birth of Jesus in our lives. 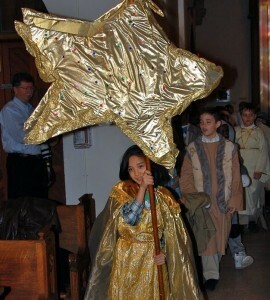 St. Luke’s will have its annual pageant on Sunday, December 23 at the 10:00 a.m. service. To participate or for information, contact Director of Family Ministries, Kathy DeWalt, at dewalt@slechurch.org. Thank you for sharing in the joy of Christmas with us.